houri-claire: Trip in Paris part II! Tokyo crazy kawaii! The event in general was nice even if I expected to be more booths tbh! 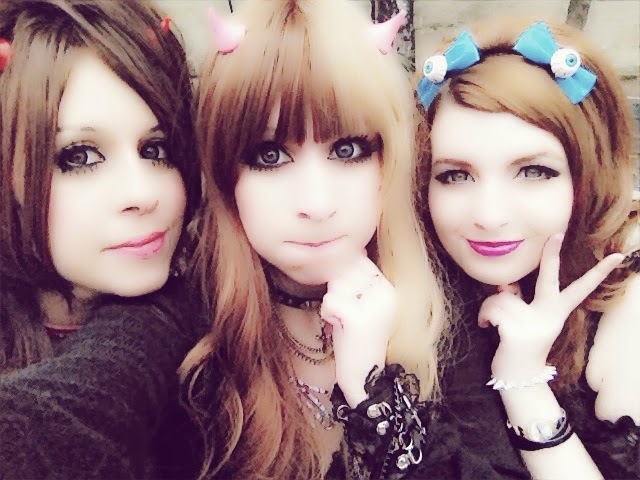 We walked around and took some pics waiting for the gyaru meet with French gals and Black Diamond to start! At 3 pm the gyaru meet was supposed to start but, well, it didn't actually start. When the French gyaru sa leader told us that the meet would be held outsie we decided to eat something before going out. We ate taokyaki! So as you can notice the meet was quite a fail but French gyarus were nice enough to contact us on Facebook on the next day to apologize! After going around for a while Steffi left and Finlay went around the booths so Grazia and I took some pics, we also saw Anna Tsuchiya live! We also talked to Juunyan about the italian fashion walks and he said he knows about them! Yay!